The River of Life and Death In the late afternoon against the backdrop of the setting sun both locals and tourists were drawn toward the Ghats of Varanasi as if summoned by certain unseen force. 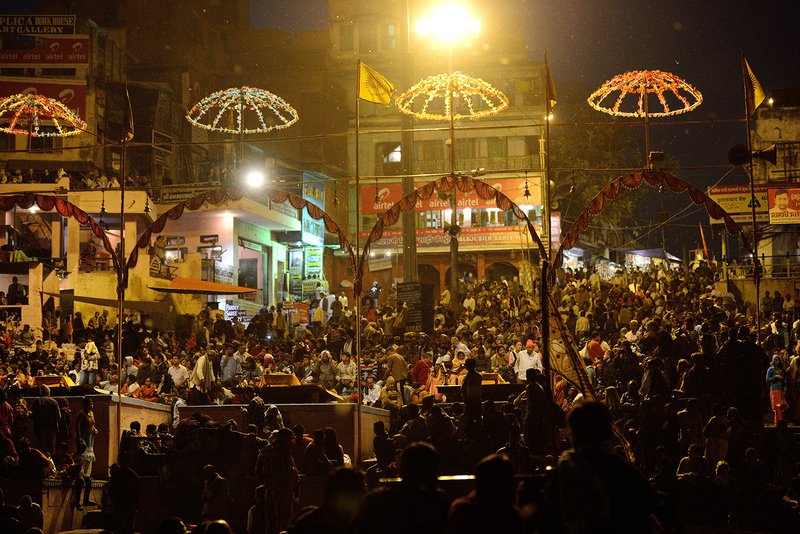 Walking in brisk movements they filled the few roads leading into the main area where the ghats faced the Ganges River. All heavy transports were not allow into the streets nearby, while trishaws carrying tourists manage to squeeze into the back lanes and small alleys bringing tourists closer to the ghats. But we will still have to walk the last stretch of the road that’s packed with people and hawkers peddlering at the roadside.